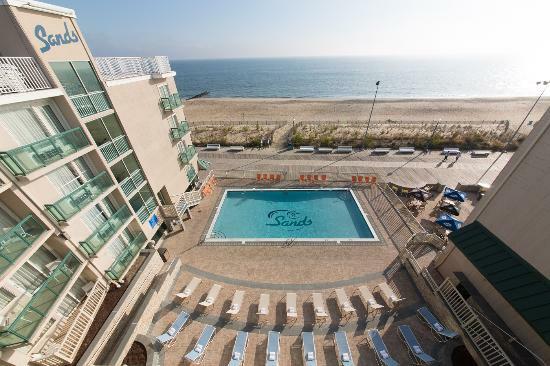 This expansive oceanfront hotel, which covers about two blocks in Rehoboth Beach, Delaware, is situated in a U-shape that engulfs the pool. The beach and boardwalk are just steps away and the pool area overlooks both. The onsite restaurants serve breakfast, lunch, snacks, cocktails and- meatballs! The Atlantic Sands Hotel is having a ball with their new meatball menu at the Atlantic Boardwalk Grill. Kids will love to try the many different combinations and sauces. Families can choose from several different suite combinations, many of which include a sleeper sofa and can sleep more than four people. A full, four-bedroom house, which sleeps 12, is also available to rent on the hotel property. The free Wi-Fi and free parking are also a perk for families. 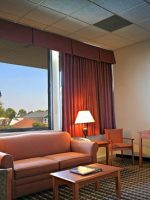 All of the 180 guestrooms and suites, many of which were renovated in 2015, feature a mini-fridge, microwave and bathtubs (with a few exceptions of stand-up showers). Multiple connecting rooms are available so large groups can connect two, three or even four rooms. Cribs are available for rent through a local rental company and rollaway beds are available throughout the hotel at no cost. 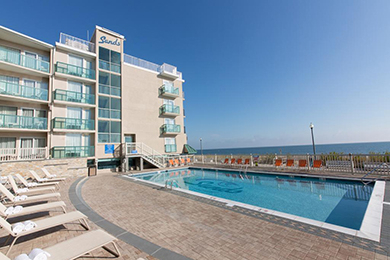 The oceanfront guestrooms are situated in a U-shape and overlook the pool and beach featuring excellent views of the Atlantic Ocean, boardwalk and pool. 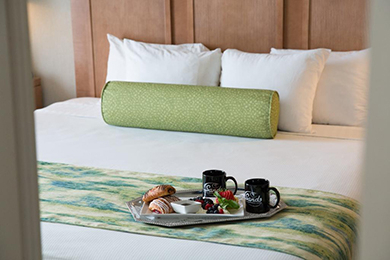 Two double beds are available and a full balcony in the oceanfront guestrooms. A king bed is also available in the oceanfront rooms, however a Juliette balcony is featured in those rooms. The one-bedroom Double Double suites feature two queen beds in the bedroom and a separate living room with a double sleeper sofa. The north facing double double offers no balcony or view, but the south facing version of the room features a balcony with a partial view of the ocean. If you're seeking a balcony, make sure to be specific when booking this suite. The one-bedroom Ambassador Suites feature a king bed in the separate bedroom and a whirlpool tub in the living room. A sleeper sofa can also be found in the living room, along with a mini-fridge and microwave. There is a powder room off the living room and a stand-up shower in the bathroom. A balcony is not available in the Ambassador suites. Two double beds and a large balcony with a partial view of the ocean are available in the deluxe suites. The balcony is situated off the separate living room area that has a sleeper sofa and wet bar with a sink, mini-fridge and microwave. Two televisions can also be found in each room. The standard suites are similar to the deluxe suites, but do not include a balcony. The separate living room area is situated on the interior of the room and the bedroom area has a large window. The large, corner vacation suites sleep six and features a large separate living room area with two sleeper sofas, and a breakfast nook with a dining table for four. The large balcony wraps around from the living room to the bedroom area, which has a king bed. The bathroom also features a bathtub. A large two-story house situated behind the hotel is also available for rent through the hotel. The four-bedroom house sleeps 12, and has a fully equipped kitchen, living room and dining room. People in one room and balcony with free parking!! Here are some pics .. hope they help. 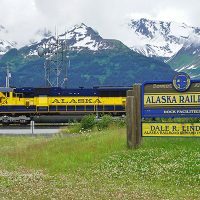 My boyfriend and I stayed here the last weekend in March for a quick getaway. We had an oceanfront room with a king bed. The room was really clean and the bed was so comfortable! The best part was the oceanfront view from our room. It was beautiful and relaxing. The hotel is right on the beach and boardwalk. It is just one block from all of the downtown shops. 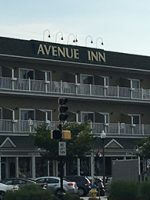 This was my first time staying in Rehoboth so I wasn’t sure where to stay. I am so happy I picked Atlantic Sands. The staff was so nice and we had everything we needed. They have a pool that I can imagine would be great during the summer. I would definitely stay here again. The large pool area overlooks the boardwalk and beach and features a tiered sun deck with lots of lounge chairs. Pool towels are provided. 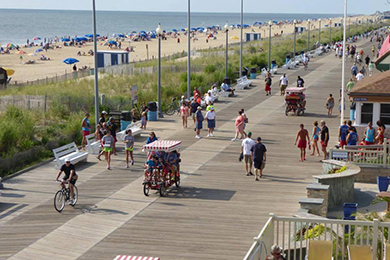 The Rehoboth boardwalk and beach are just steps away from the Atlantic Sands. Families will find it convenient to walk from the pool to the beach. The boardwalk features amusement rides, games, shops and lots of boardwalk fare like fries, ice cream and salt water taffy. Dolphins have been known to swim in the Atlantic Ocean in front of the hotel, too, so be on the lookout. 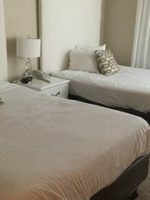 Two beach chairs and an umbrella are also complimentary per guestroom and the staff will carry and set up your equipment at the beach for you. The rooftop deck, which is open seasonally, is a perfect spot to watch the fireworks displays that Rehoboth and other area beach towns put on, on the Fourth of July. On a clear day, guests can see for miles! Situated just off the boardwalk and next to the pool, kids are welcome at this beach bar. 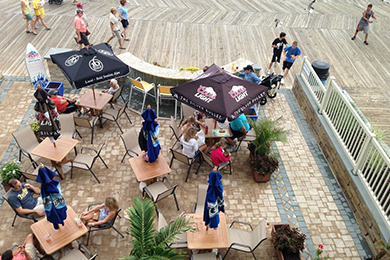 Cocktails, beer and menu items like Panini, burgers, flatbread and hummus are available at the Sandcrab from 11 a.m. to 9 p.m. in the summer. The grill, located on the ground level of the hotel, offers a breakfast buffet from 8 to 11 a.m. for an additional cost of $12.95 for adults and $8 for children. The Grill overlooks the boardwalk and large murals painted on the wall freehand by a local artist, give guests a hip beach vibe. The breakfast buffet includes items like waffles, an omelet station, sausage, pastries and much more. The Atlantic Sands is offering a new type of "boardwalk food" with its Happy Meatball Hour that runs from 2 to 9 p.m. at the Atlantic Boardwalk Grill during the summer season. This new meatball concept allows guests to order a variety of different types of meatballs in different forms, as well. So perhaps families will want to try a vegetarian meatball on its own or a beef and lamb meatball as a slider or a pesto meatball with homemade sauce. Kids will love all the meatball choices! Complimentary Wi-Fi is available throughout the hotel and works exceptionally well for multiple devices. 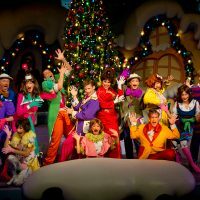 One parking spot per room is available to guests in the underground lot. The Atlantic Sands is at its busiest during the summer months, when many come to visit Rehoboth Beach. 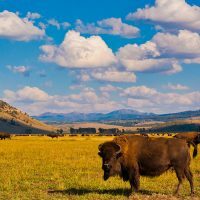 However, it is also considered a "convention" hotel so it stays busy through the spring and fall, as well. Rehoboth Beach is located about one hour south of Dover, Delaware and about 10 minutes north of Dewey Beach. The Salisbury-Ocean City Wicomico Regional Airport, located in Maryland, is about an hour from Rehoboth Beach and offers connecting flights from Philadelphia or Baltimore. 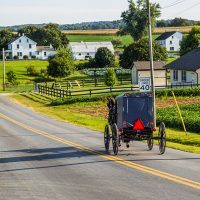 Philadelphia International Airport and Baltimore-Washington International Airport are both about two and half hours away from Rehoboth Beach. 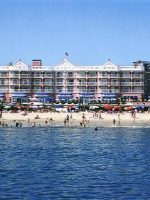 The hotel is steps away from the beach, boardwalk, Atlantic Ocean, amusement rides and lots of restaurants and shops. A stroller for younger children may be convenient for parents. The boardwalk is plenty wide and there are sidewalks on the streets, as well. A car is needed to venture further away from the hotel. Parents will love hanging at the Sandcrab Beach Bar for an afternoon cocktail while older kids enjoy the last bit of the day's sun at the beach or pool.